There is no doubt that everyone we know has probably heard the odd ghost story or two, there is also no doubt that many people believe in the Supernatural and Paranormal. There are also those people that do not believe in the existence of the Supernatural or Paranormal; these same people do not believe that people experience the Supernatural or Paranormal and that any such experiences may have been caused by unseen environmental pollution such as microwaves etc. So what about people who have actually experienced such strange unexplainable phenomena? A majority of experiences can have logical explanations for their occurrences, including the effects of medication and natural phenomena like optical illusions. Then there are unexplained paranormal experiences that cannot be explained too easily; which will require further investigation and research, this is where unexplainable phenomena becomes very interesting. A paranormal experience can manifest in a multitude of ways that can startle or frighten anyone at anytime unexpectedly. Unusual sensations of being watched, unusual noises coming from behind the wall or being touched by unseen hands, Sounds of unexplained footsteps, disembodied voices and whispers, visible manifestations of moving light, unexplained shadows, and visual apparitions that appear and disappear instantaneously. As well as visible and audible phenomena there are also olfactory (Smells.) that have also been witnessed and reported by people, the smell of flowers, perfume and horrible sickening odours that can suddenly appear or disappear without warning or explanation. People who have experienced such phenomena have no doubts that the Supernatural and Paranormal exists. 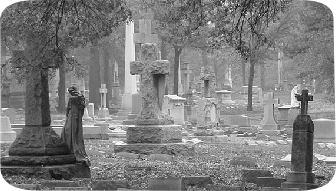 Ghosts, Hauntings and Poltergeists have been experienced by people from all walks of life. So does the Supernatural and Paranormal actually exist? Midland Paranormal Investigations has been established by a small group of people dedicated to the scientific study, investigation and research into reported Ghost, Hauntings and Poltergeist experiences. Hopefully to gather tangible scientific evidence to confirm or disprove whether the unexplained experiences being researched and investigated are indeed supernatural, paranormal or have a perfectly natural explanation. We urge anyone to contact Midland Paranormal Investigations should they require immediate help, guidance or assistance regarding any unusual or frightening phenomena they have experienced. We also offer a free audio, photograph and video analysis service. Please contact us for more details. Please read our mission statement for further information.